Oh yes, more polish! I know, I've slacking on getting posts up because of Christmas and just my general trying to get back into a rhythm with husband being back in the country (it's difficult!!). 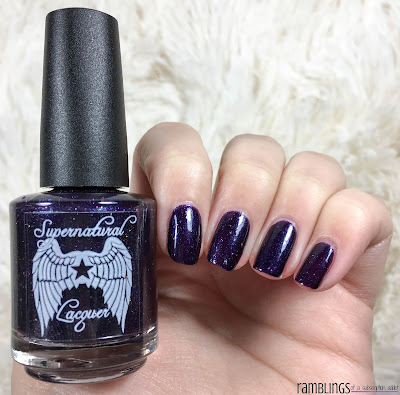 Today, however, is a gorgeous polish from Supernatural Lacquerral Lacquer (her store is currently closed but join the Facebook Group to find out when her store will be reopened). 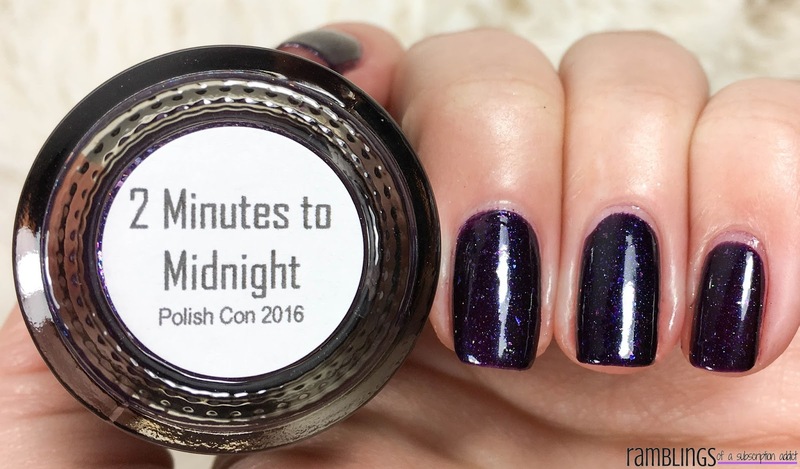 Today I have 2 Minutes to Midnight, which was an exclusive to PolishCon that she (finally) made available to those of us that couldn't make it to PolishCon! 2 Minutes to Midnight is a deep purple base with blue shimmer and rainbow flakes and glitters. 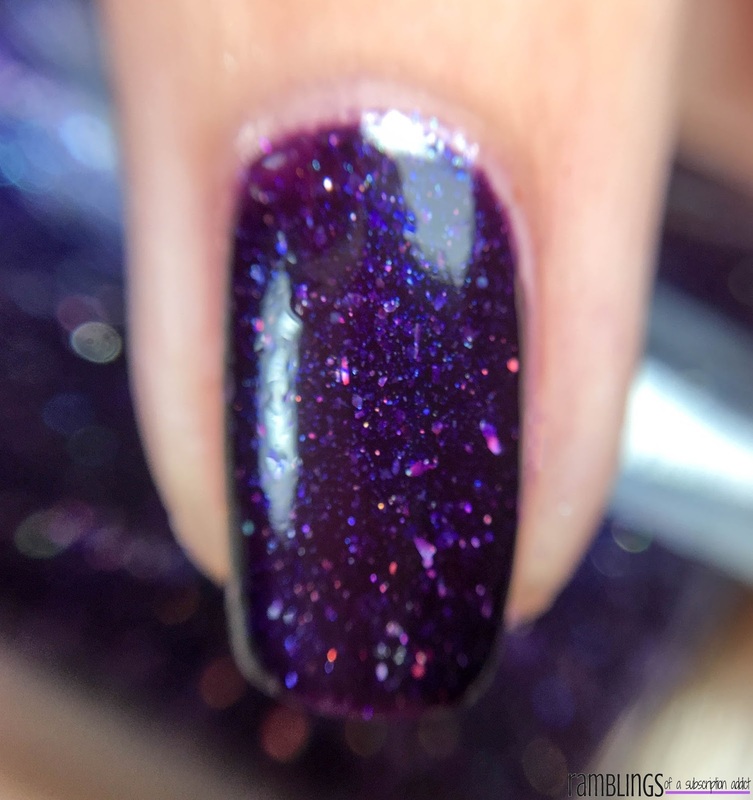 Such a gorgeous polish, very squishy like all jellies are. 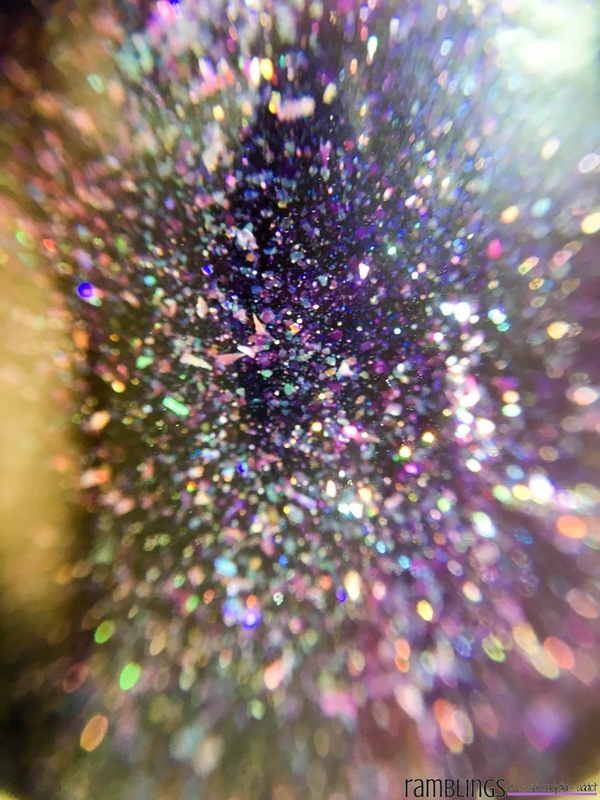 I love the flecks that pop through and how the base goes from looking close to black to popping purple again. 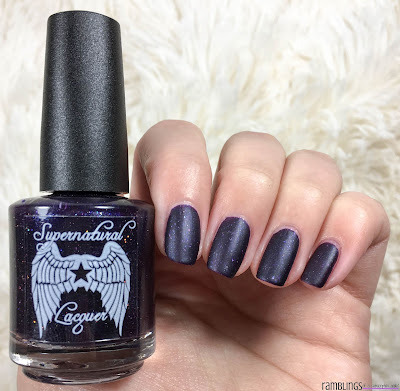 Even matte, you can't stop to flecks! 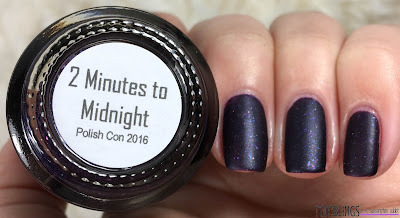 2 Minutes to Midnight is a jelly so more coats are required, shown is three thin coats to show off the squish. 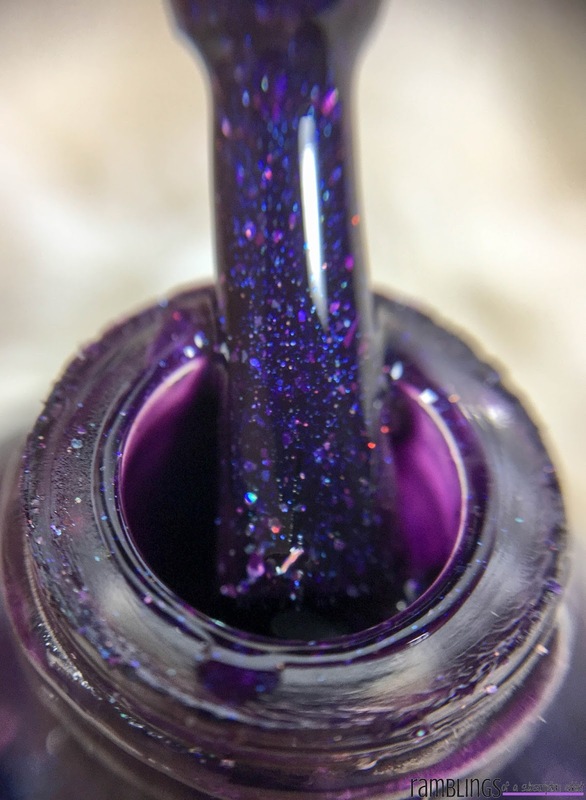 There is texture so make sure to have a top coat handy, but it only took one coat of top coat to smooth it out to a glassy finish. It did dry easily as well as applied easily. 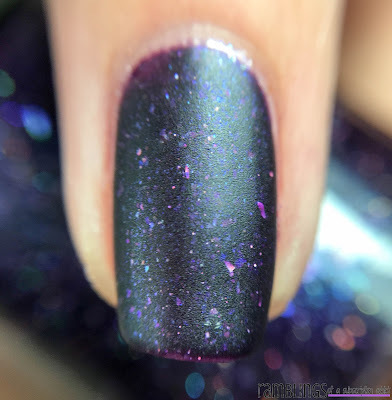 Did you grab this PolishCon exclusive? What do you think about it? Let me know in the comments!